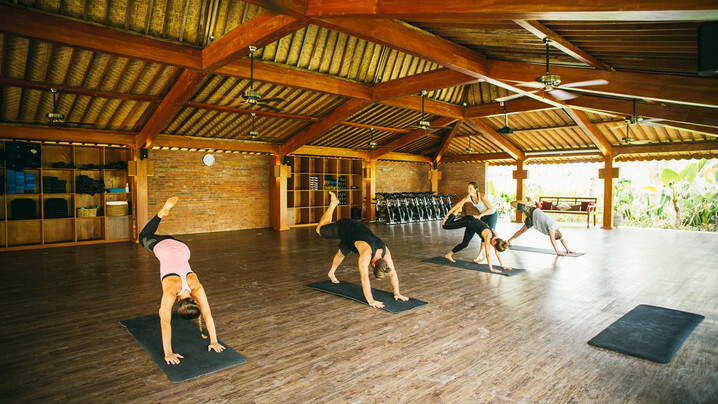 Exotic Yoga Retreat in Bali! 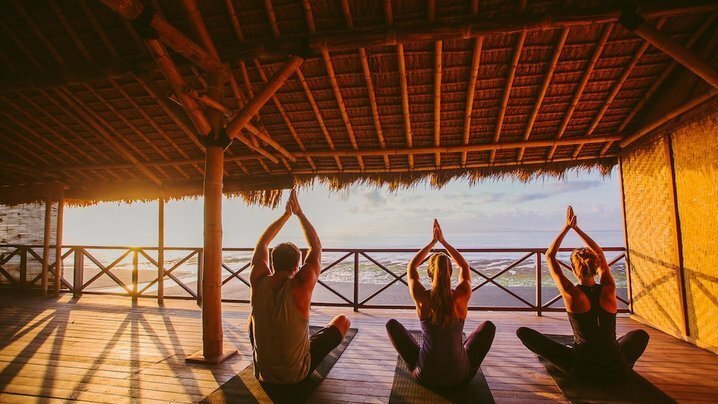 Let's embark on this journey together to this beautiful land and enrich our practice of yoga and build our relationship to ourself and one another! 17 people have already booked this trip! Bali!!! Join Robbie Short and Whitney Korman to embark on this epic journey across the world to more deeply connect to your home within. 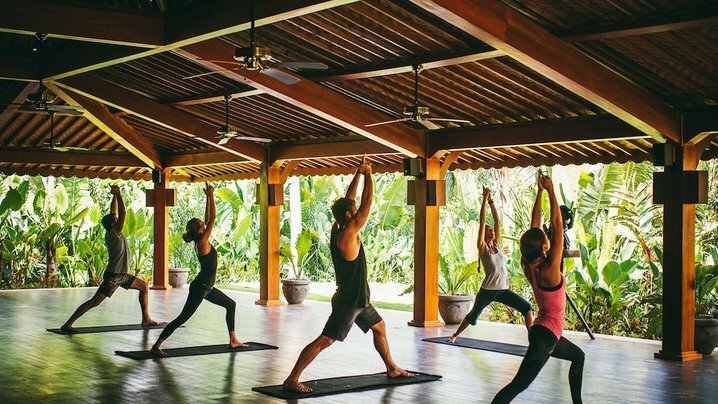 This is your opportunity to detach, connect and explore your inner atmosphere while soaking up yummy yoga practices and deep meditation on The Island of the Gods...beautiful Bali. Give yourself the gift of rejuvenation and relaxation in exotic Indonesia. 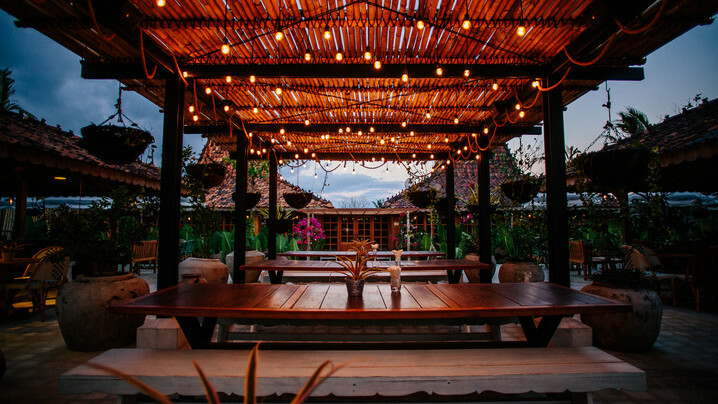 Set on the lush and unspoilt East Coast of Bali, Hotel Komune Resort and Beach Club is blessed with a hypnotizing view of the world famous Keramas surf break. 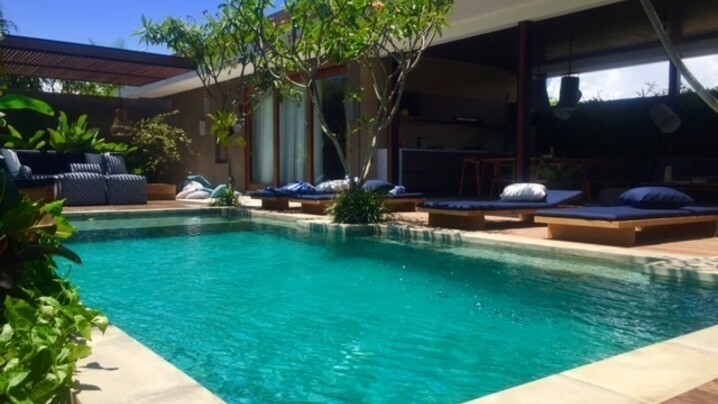 The resort is conveniently only 50 minutes away from Ngurah Rai International Airport. With its pristine volcanic beach, this 4 star beachfront Bali resort offers a wonderful experience of spending leisure time in a natural luxury hotel. 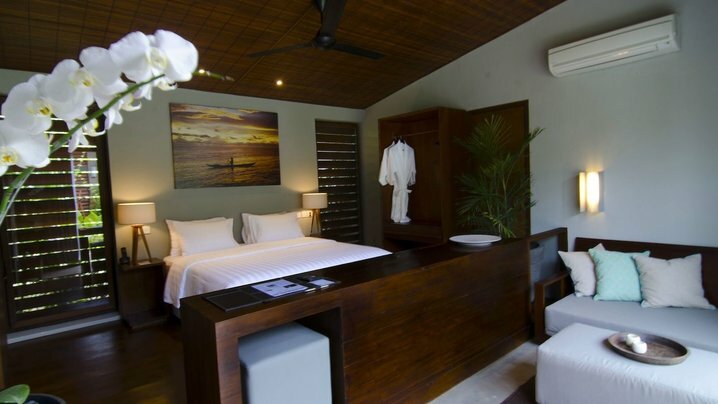 The resort features 66 impressive rooms and suites. 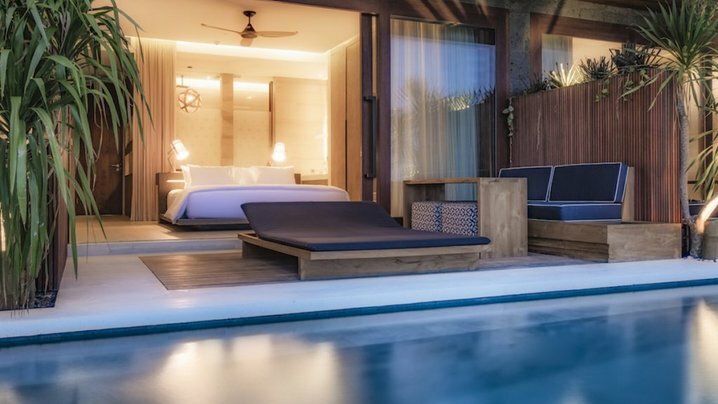 Sumptuously appointed accommodation with artistic furniture, this unique Bali resort articulates the identity of the Island of the Gods. The Beach Club was voted in the top 5 in Asia and the executive chef brings his worldwide cuisine experience to the dishes. Inviting entertainment and exquisite nibbles from Asia, Europe, and Australia are being served in themed night dinners. 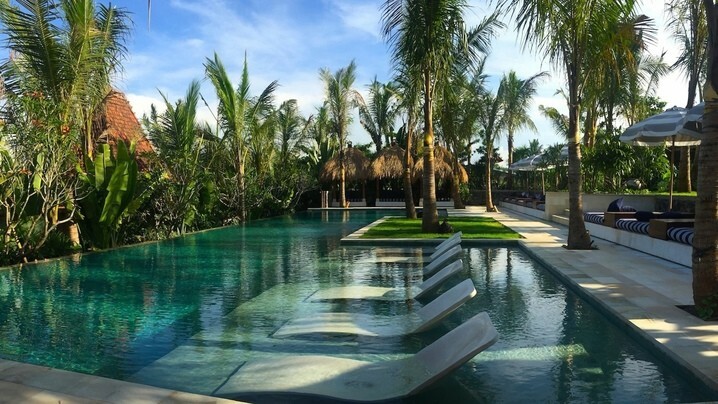 During free time, take advantage of the Joglo Spa for a massage and various other spa treatments, beach horseback riding, surfing lessons or explore the nearby temples and beautiful Bali landscape. This will be your time and your journey. Allow your heart to lead you to what serves your energy and the expansion of your experience on this retreat. After finding yoga in 1999, Whitney Korman knew she had found home and quickly realized that yoga was so much more than a physical practice, it became her therapy. Destined to be a healer, the road to yoga teacher training was paved shortly after. While she is well trained in teaching Vinyasa, Yin, Restorative, Ashtanga and Prenatal Yoga, her passion is to raise higher consciousness through teaching awareness of the true self. No matter what class she is leading, her inspiration comes from real life - epiphanies of both heart and mind, intertwined with yogic philosophy and a desire to inspire others to truly love who they are and then share that love with the world. Whitney is a Registered Yoga Teacher certified with the Yoga Alliance. She has earned her 500 hour certification through Franklin Yoga Center and Sanctuary for Yoga. She has trained with Kathi Perry, Daphne Larkin, Tom Larkin, Shannon Paige, Jessalynn Hakanson and Liz Stewart to name a few. Whitney is so blessed to be married to her soul mate, Mother to a wild and mighty little boy, and 2 lively pets that run the household. We are all here to connect. We are all here to love and be loved. That is life's greatest joy. Namaste and beyond. Robbie Michelle Short began a home practice in 2000 before attending her first studio classes in 2001. She was a flight attendant for 12 years. After 9/11, Robbie immediately adopted yoga/meditation as her spiritual path so she loves guiding others through its rich history & deep philosophy to go beyond the physical. She loves to weave in mudras, mantras, myths, sutras, and personal stories, along with anything else metaphysical that compliments the practice. 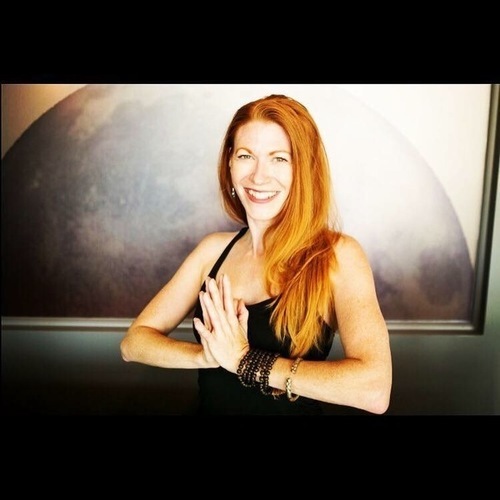 Robbie is well versed in travel and looks forward to visiting new places and meeting new people to mix with her own tribe on these yogic journeys! Join Whitney 's Tribe and stay up to date on their trip!